This guy in a uniform must be my father. Hey there, Dad. As a child, I had two adult male role models, neither of whom, as far as I know, experienced a single responsible moment in their lives; which goes a long way toward explaining why money has always been a mystery to me. There was my father – a pathological liar, degenerate gambler, alcoholic, chain smoker, and raconteur to the uninformed; who seemed involved in an endless struggle between his income and the image of himself he had created, with clumsy sleight-of-hand, as a buffer to prevent being discovered as the fraud he must have known in his heart he undoubtedly was. My father – a raconteur to the uninformed. 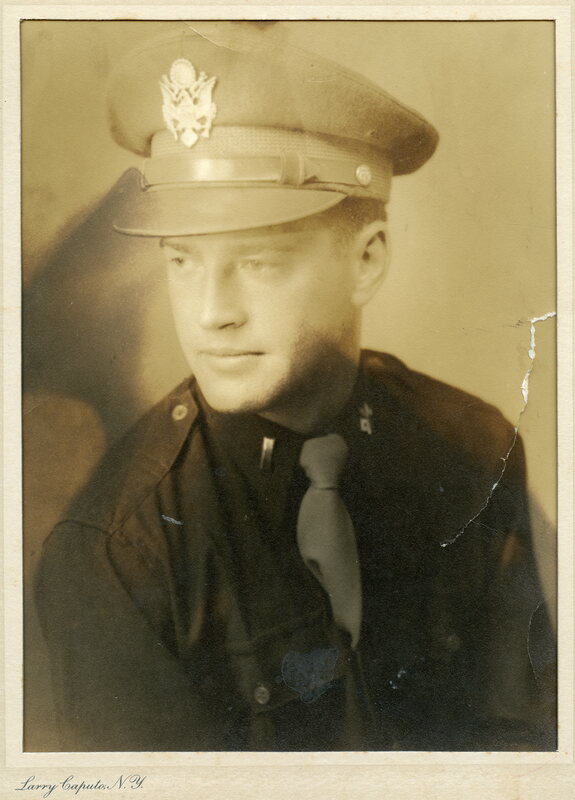 And then there was my Uncle Tommy, who staked his claim to my affections during the waning months of World War II, while my father was off serving in the Pacific, and then with the occupation forces after the Japanese surrender. 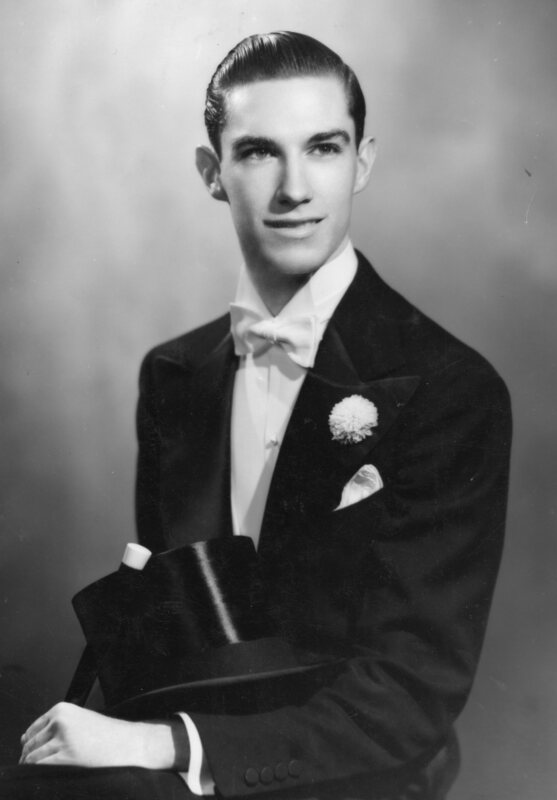 Uncle Tommy was movie star handsome and a professional dancer, who parlayed this combination of useful traits, regardless of the fact that he was homosexual, into a lifetime of living off the gifts of generous and very wealthy women, whose ranks included Woolworth heiress Barbara Hutton. 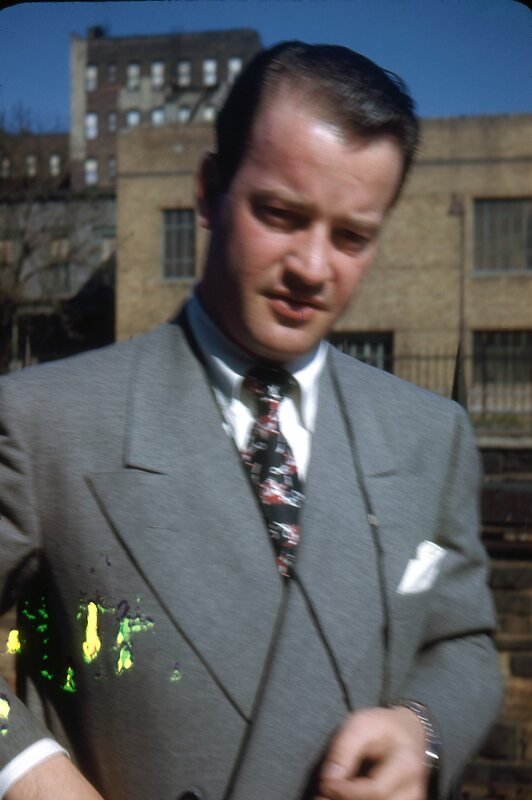 Uncle Tommy was movie star handsome. Quite understandably, my father resented my uncle, who lavished expensive gifts upon his favorite nephew, made his gift-laden visits to our family driving his Rolls Royce, and occasionally took us cruising on his yacht. My friends would gather outside our house as the trunk to Uncle Tommy’s Rolls would open like a cornucopia of generosity, the gifts flowing, while my father watched from our living room window, properly fortified with yet another VO Manhattan against the onslaught of familial competitiveness, a turf war he had no chance of winning. I thought Uncle Tommy was rich – the Rolls, the yacht, the custom tailored suits; but I’m willing to bet that, for all his lavish behavior, Uncle Tommy never had a bank account containing more than a hundred dollars. Neither my father nor my uncle spent any time planning for their futures. They couldn’t be bothered. They both lived in the smoke they had created around their respective ever-precious present. They had tricks up their sleeves. They did it with mirrors – an endless hocus-pocus. They both died broke. On the surface, my family seemed to be living out the post war, Robert Moses version of the American Dream – Father, mother, brother, sister, dog and station wagon; all ensconced in the suburban subdivision of Green Acres, a delightfully park-like, child-friendly community, in Long Island’s Nassau County – about a forty minute car ride from midtown Manhattan. Our house in Green Acres. I wanted to live there forever. We lived in a two story brick house that was identical to every fourth house in the community, Green Acres offering four designs to choose from. This meant that on Elderberry Lane, which had a total of fourteen houses, our house was repeated three or four times, pretty typical in post World War II cookie-cutter subdivisions. Sounds a bit like Baltimore, but, despite architectural similarities, people seemed to find their way to their own houses unaided, with the exception of my philandering father, who was often accused by my mother of spending just a bit too much time offering domestic assistance to neighboring housewives, which was the cause of many interruptions in our familial tranquility. Virtually all of the streets in Green Acres were cul-de-sacs, which meant no through-traffic, or paradise to a kid on a Schwinn. 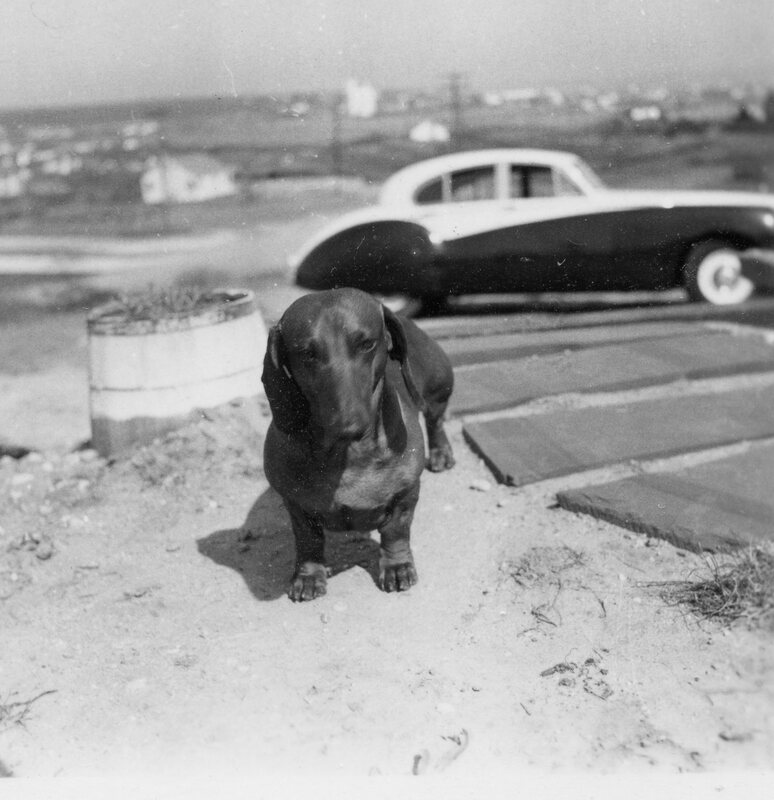 Sections of the community were separated by small parks, so that you could walk from one end to the other without crossing a single street, allowing our extremely eccentric Dachshund ‘Ronzoni’ to wander freely about the neighborhood, sometimes for days at a time. And then there was Montauk. In the late 1930’s, some members of my mother’s family, siblings of mygrandmother, bought property in Montauk, which was then a small fishing village at the very Eastern tip of Long Island, about a hundred miles East of Manhattan. These were the Stephensons, the children of my great grandmother Kitty Lane, who married Edward Stephenson, whose photograph, for decades after his early demise, sporting a straw skimmer and handlebar mustache, adorned the wall of their family’s Bronx apartment. 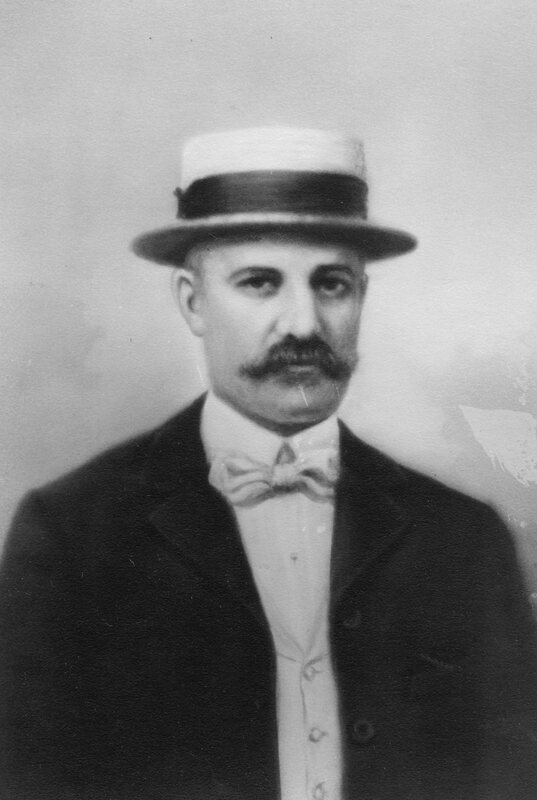 My Great Great Grandfather Edward Stephenson. Looks like a rakish dog, doesn’t he? The Stephensons visit us in Green Acres. It was my Great Grandmother’s 85th birthday. She’s in the back next to little Shaun. They were blue collar, working class, depression era Irish, bringing to the table all the good and the bad that that combination of unfortunate circumstances might suggest. With the exception of Aunt Catherine, I found them to be likeable and exotic. They seemed to speak another language, pronouncing words differently than I had ever heard before. Oil was earl, as in, “I’ve got to put some motor earl in the car”, or, “Pick up some olive earl for salad.” They called Chinese food chinks, and pizza was ahbeetz. Their apartment in the Bronx was filled with strange and bewildering religious oddities, each room with a crucifix on the wall and framed pictures of Jesus, the Virgin Mary, and various Saints. And there were glow-in-the-dark statues, mostly of Jesus that, if held next to a lamp for a minute or so, would glow a strange blue-green. On my Great Grandmother’s dresser was Statue of Jesus with little doors built into his chest which, when opened, revealed all his internal organs, like an illustration in a biology book. I had no idea why Jesus would want to share his internal organs with me, but examining the sacred innards was so wonderfully weird that it became my favorite source of amusement whenever we paid a visit. My Aunt Catherine and Uncle Harold’s wedding portrait. They don’t make silver prints like this any more, It’s truly beautiful. The oldest Stephenson was Edward Junior (Uncle Eddie) who, although his Montauk cottage sat directly across the .street from his younger sister Catherine, had, some time between the purchase of his building lot in the mid 1930’s, and the end of World War II, engaged in some dispute with his siblings, a result of which was eternal and mutual banishment. His sisters seldom spoke his name, and then only accompanied by a shaking head and mournful sigh – an Irish form of familial excommunication. As a small child I saw him once or twice, but was discouraged from crossing the dirt road that separated the warring parties. 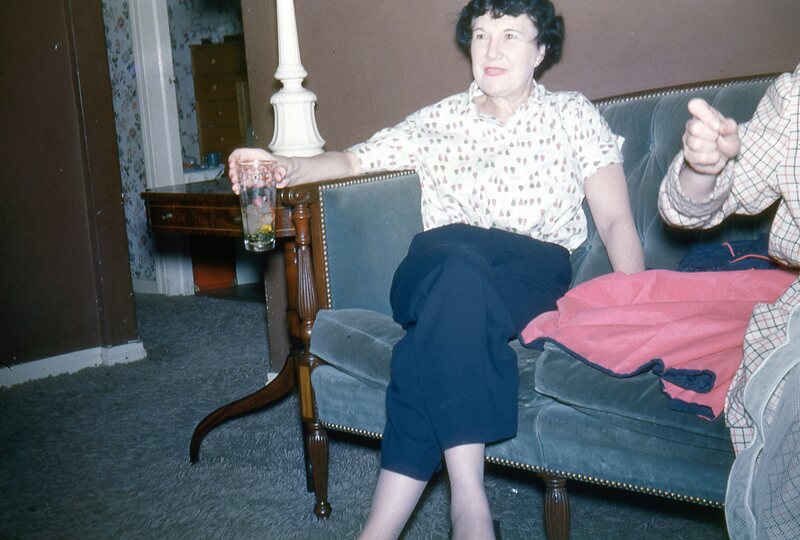 The next in line was my Great Aunt Rose, a stout, determined woman, who lived far outside the code of conduct normally adhered to by her peers. Some time in the early 1920’s, Rose divorced her husband, and married Charlie Volk, a Jewish soda vendor with whom she had been carrying on a delightfully disgraceful affair for quite some time. 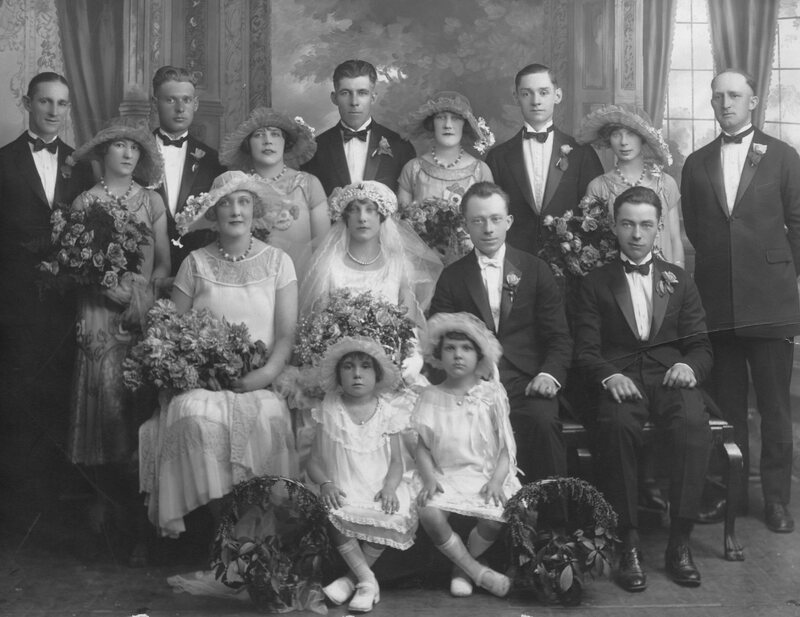 Among depression era Irish, divorce was unthinkable. And marrying a Jew, well, the whole neighborhood probably grabbed their rosary beads and fell to their knees in a desperate attempt to prevent Bronx-bound lightening strikes. 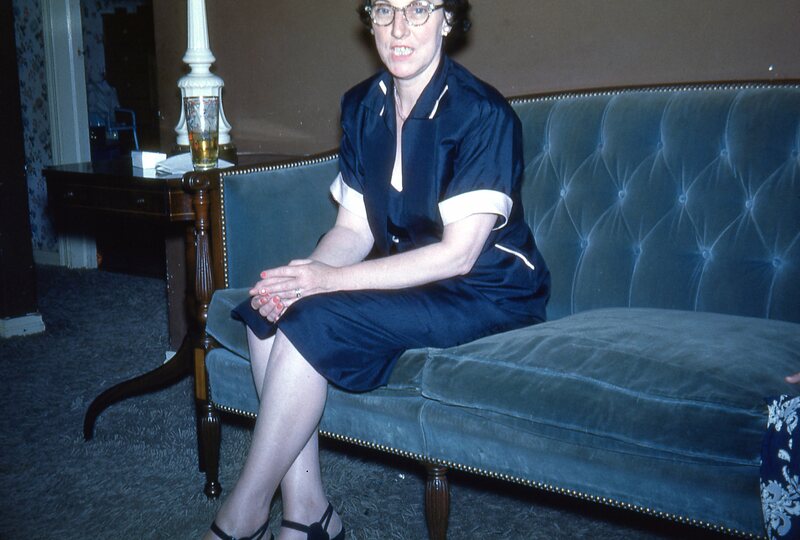 Rosie drank whiskey in bars, and enjoyed the company of men. Rosie got into bar fights that she usually finished. Rosie had some cojones. Aunt Rose had some cojones. 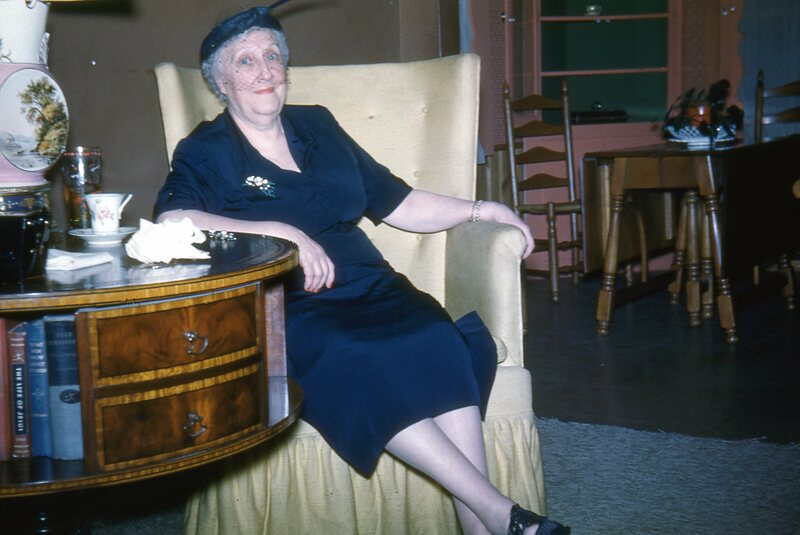 Aunt Della married Clem who ate clams and dropped dead. 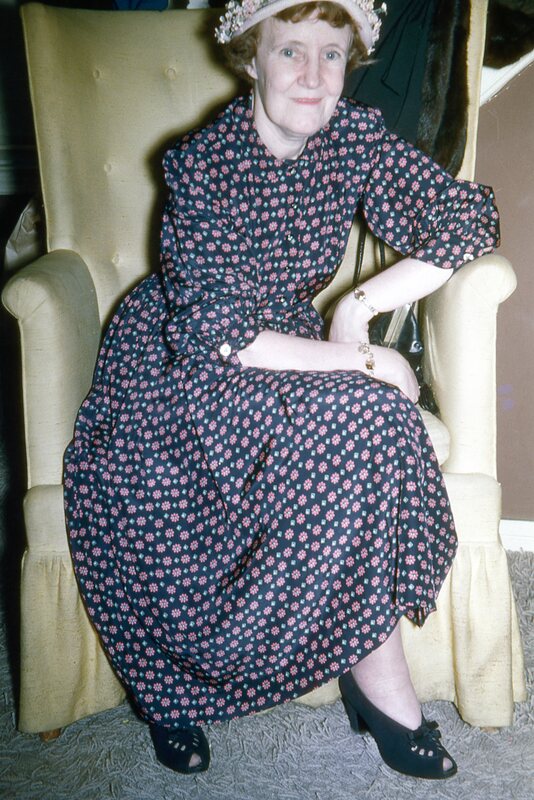 Then came Aunt Della, a small, thin, mousy little woman, who, it was rumored, suffered a terrible bout of tuberculosis in her early twenties, which kept her chair-bound for most of her life, but didn’t seem to deter her chain smoking. Della married a man named Clem who, during prohibition, succumbed to a lethal combination of bad calms and bathtub gin. He walked out of the clam bar on City Island with a smile on his face, and was dead two hours later. There were whispers about Aunt Della that my young ears detected, but that my child’s brain could make little sense of. Something about a tubal pregnancy. A dead fetus inside Aunt Della. A shameful secret. Hair that kept growing. Different lengths were mentioned – three feet, five feet, ten feet – all inside Aunt Della. Until finally, she could hide her delicate dilemma no longer, and off to the hospital she went, to have her expanding Medusa surgically removed from her Catholic self. I assume it was the offspring of the deceased clam eater, but I guess we’ll never know. My grandmother married notorious gambler and stage performer Black Jack Dowling. Next was Anna (Nan), my Grandmother, who flew the coop at an early age, and married notorious gambler, and stage performer Black Jack Dowling. 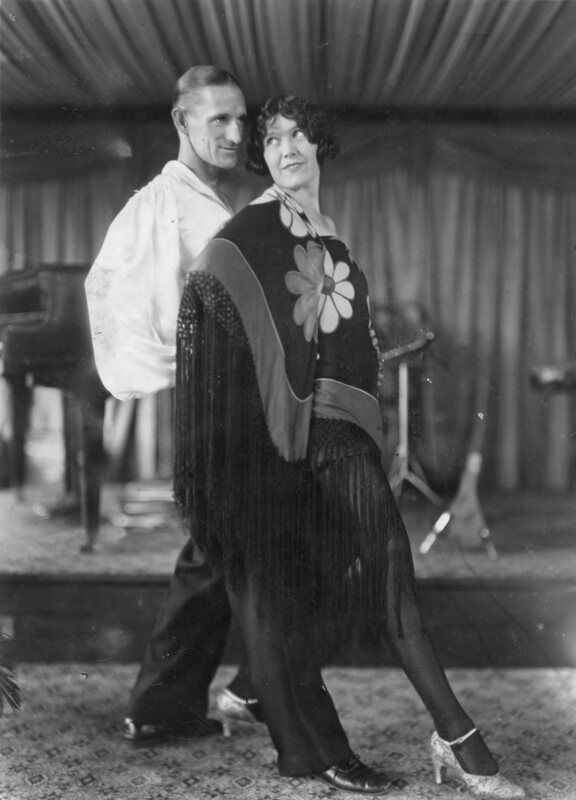 They started a Vaudeville act, had two kids (my Mother and Uncle Tommy), added them to the act, and called themselves the Dancing Dowlings. They played the Southern Vaudeville circuit for about ten years, before returning to New York City. Unlike the rest of her siblings, Nan lived in Manhattan for most of her adult life. 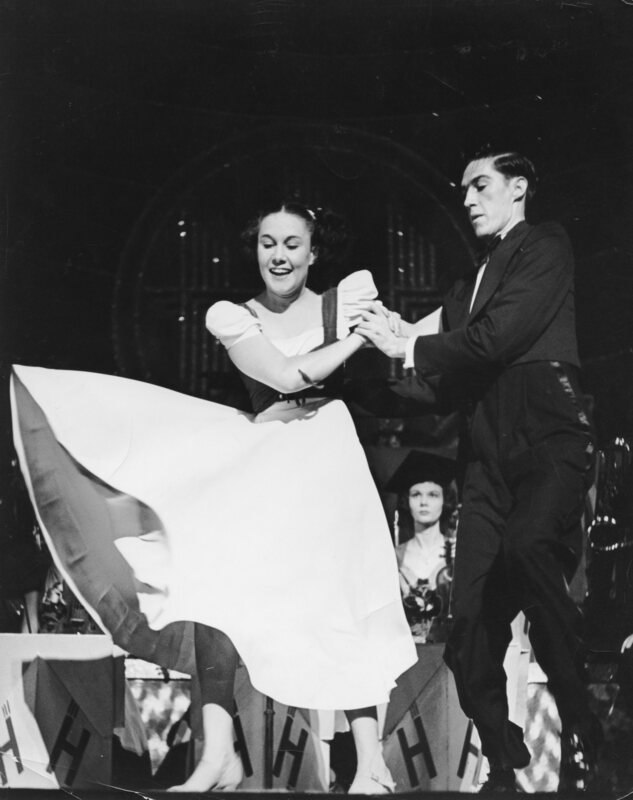 My Grandmother performing with her husband and my Grandfather Black Jack Dowling. Last and probably least, was Aunt Catherine, the baby of the Stephenson clan. She bore a startling resemblance to Margaret Hamilton, who played the wicked witch in the Wizard of Oz. Catherine was married to Harold Hanley (Uncle Harold or sometimes Bootsiboo – don’t ask) who was a construction foreman, flounder fisherman, and pretty affable guy. How he put up with all those old biddies is anybody’s guess. Catherine was an unpleasant woman who couldn’t resist pinching my cheek, which really hurt. I hid from Aunt Catherine. I hid from Aunt Catherine. In the early days of World War II, Aunt Catherine and Uncle Harold built a tiny cottage on their Montauk property, and their presence seemed to draw other family members out to the end of Long Island. 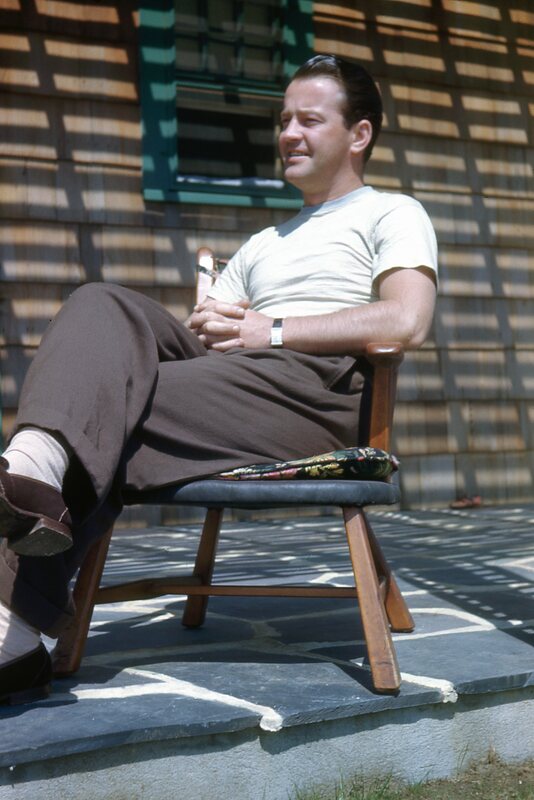 Uncle Tommy, who worked on the Tars and Spars Shows, out of the Brooklyn Coast Guard Barracks, began taking weekend passes, along with his Coast Guard pals, and heading out to Montauk, where he had befriended Otto and Mary Steinfeld, who owned the Montauket Hotel. After the war, Sonny Volk, Rosie’s son, who had lost a leg in the Battle of the Bulge, settled in Montauk, looking for business opportunities. In January of 1946 my world, as I knew it, would change forever with the return of my father from Japan. Hail the conquering hero. He was resplendent in his army uniform, shiny Captain’s bars adorning the epaulets on his shoulders, and I’m sure a great fuss was made over him by everyone he knew, or was introduced to. This would be the first time I laid eyes on my father, who was on a troop ship sailing to New Guinea when I was born. 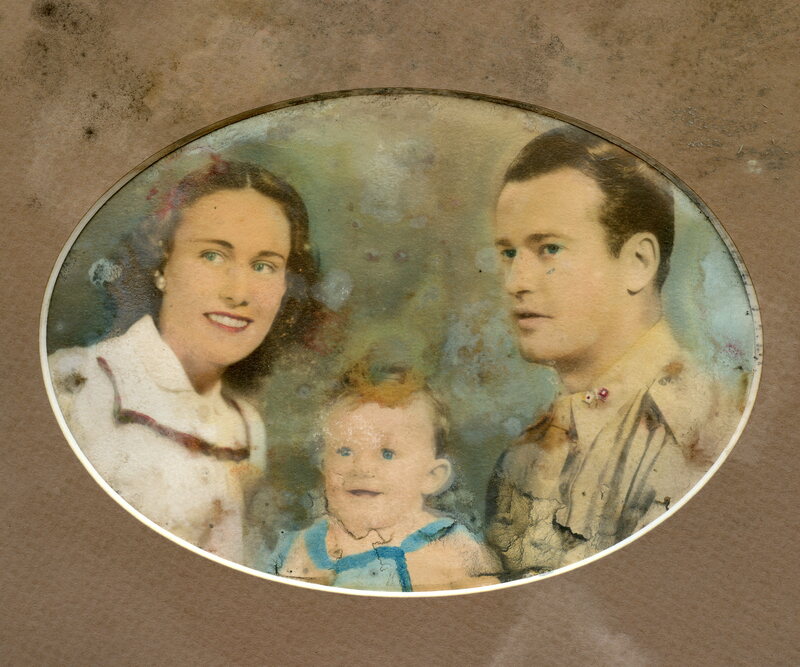 Up until then, having a father, in my little world, meant being told stories by my mother of her hero, off somewhere far away, fighting for America. 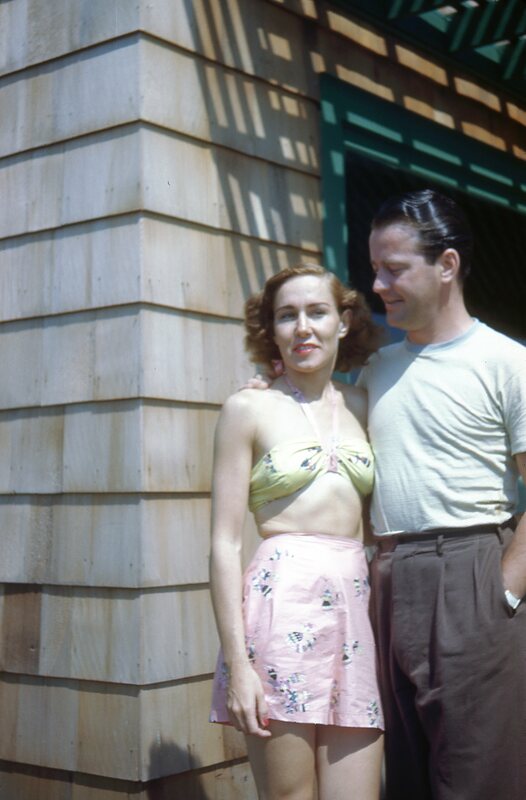 She would show me pictures and read me letters, and drag me to the record store where we would sit in a booth and record our voices on a disc that she would send off to somewhere in the far Pacific, to be listened to by her husband and his army pals. Personal recordings were extremely popular during the war, where many, like my father, could listen to the voices of their wives and sweethearts, and children they had yet to meet. I was two when I first met him, and I’m sure that his sudden presence in my life was bewildering, to say the least. He moved in to the small apartment I had shared with my mother, on Creston Avenue in the Bronx. My mother told me years later that she made my father wear his uniform after his return so she could show him off to everyone she knew. Take him down to the Club Fordham and flaunt her victorious soldier to the gang. He was a handsome guy, and I’m sure my mother’s pals were impressed by those shiny Captain’s bars on his shoulders. A few years later, while snooping through his army trunk, which was one of my favorite forms of rainy day adventure, I came across his discharge papers. They were right there, along with his uniforms, and souvenirs of his years in the Pacific; a samurai sword, a blood-stained Japanese flag allegedly taken from the pockets of a dead enemy soldier, ivory Buddha statues, sea shells, photographs of naked women, and the various and sundry collected keepsakes of two years in a distant land. First Lieutenant Albert W. Costello was Honorably Discharged…………First Lieutenant. This would be my first brush with my father’s sleight-of-hand. 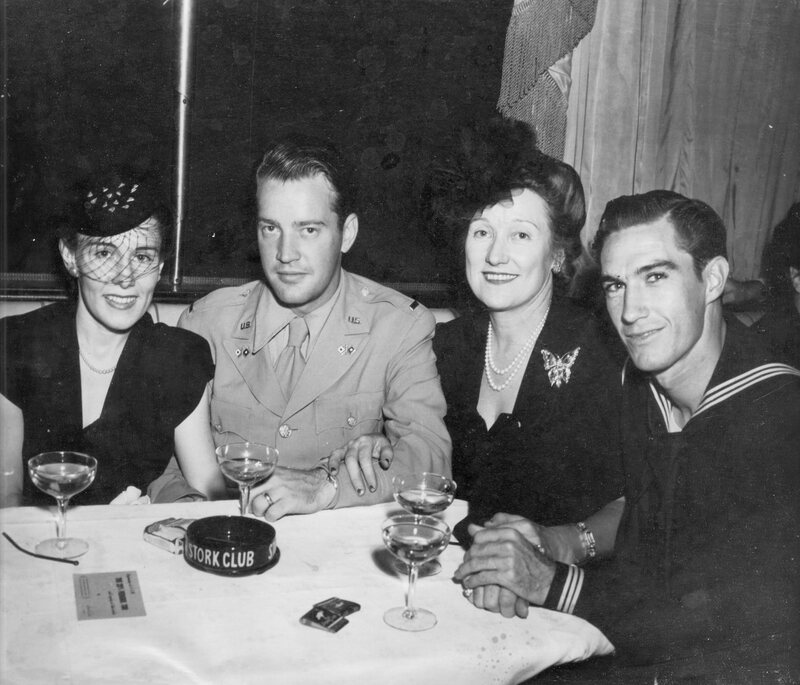 He must have purchased Captain’s Bars at the PX, and somewhere between exiting the troop ship, and being enveloped into the welcoming arms of my mother, Lieutenant Costello became a Captain. I guess his army rank disappointed him, but more importantly, he thought it might disappoint others. I never mentioned my discovery, which I’m quite certain my mother was unaware of. The uniform finally went into mothballs, replaced by custom tailored suits, but the story of Al being a Captain in the war became his permanent legacy. 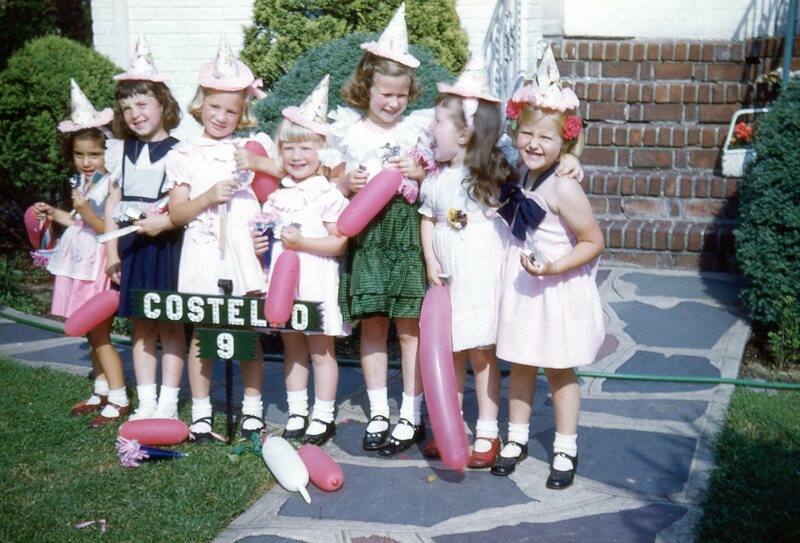 My sister’s fifth birthday party. Outside our house in Green Acres. It wasn’t until my family moved to Green Acres that we began our visits to Montauk. After the birth of my sister, my father, looking for more space for his growing family, and greener pastures for his fragile self-esteem, moved us from our tiny Bronx apartment to the town of Katonah, in the wilds of northern Westchester County, a two and a half hour commute by train to his office in mid-town Manhattan. He had rented a house on a lovely estate called Blue Spruce Farm, overlooking the Croton Reservoir. The property, owned by a mysterious man named Korhulse, was extensive – fields, woods, ponds, streams, barns containing horses, empty buildings in which to do make-believe and exploring – what a place to be a kid. 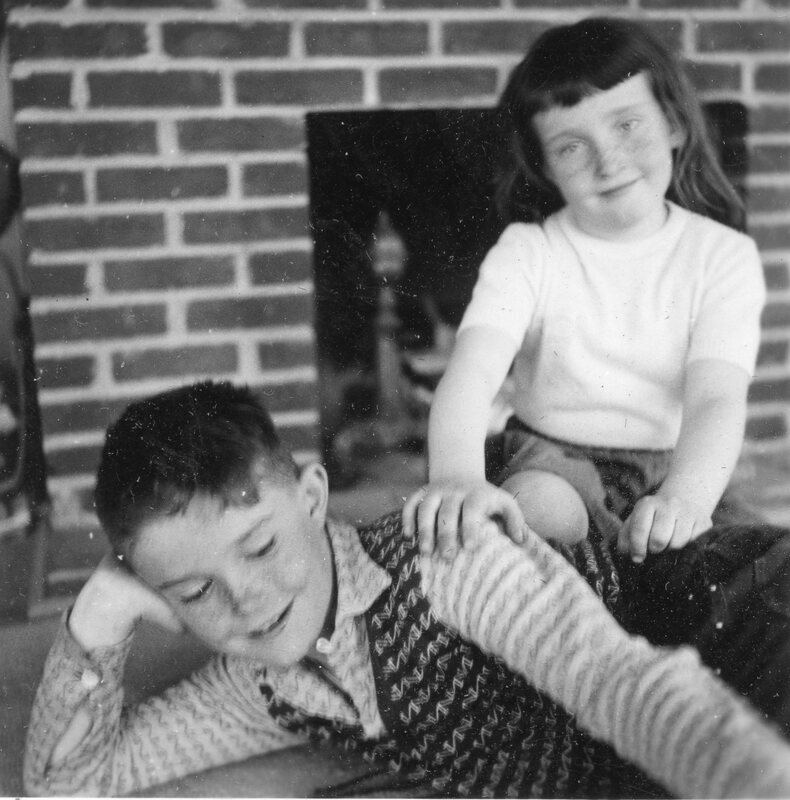 The literally thousands of family photographs I inherited tell a story of countless visits by many of my father’s friends from the city, who made the trek north to our house in the country, to witness, first hand, the kind of life style Al Costello now enjoyed. But, after two years, the length of the commute, and the lure of participation in the American Dream’s reward of home ownership, overwhelmed my father, who decided to buy a house on Long Island. I was told quite abruptly, half way through kindergarten, and was uprooted, and dragged kicking and screaming to the enclave of Green Acres, a short commute to my father’s office, and the first home my family actually owned. We now lived less than a hundred miles from the hamlet of Montauk, where family members owned houses, and others like my Uncle Tommy were now visiting fairly often. It didn’t take long before we began stuffing ourselves and our baggage in our Nash Rambler station wagon to make weekend trips east. 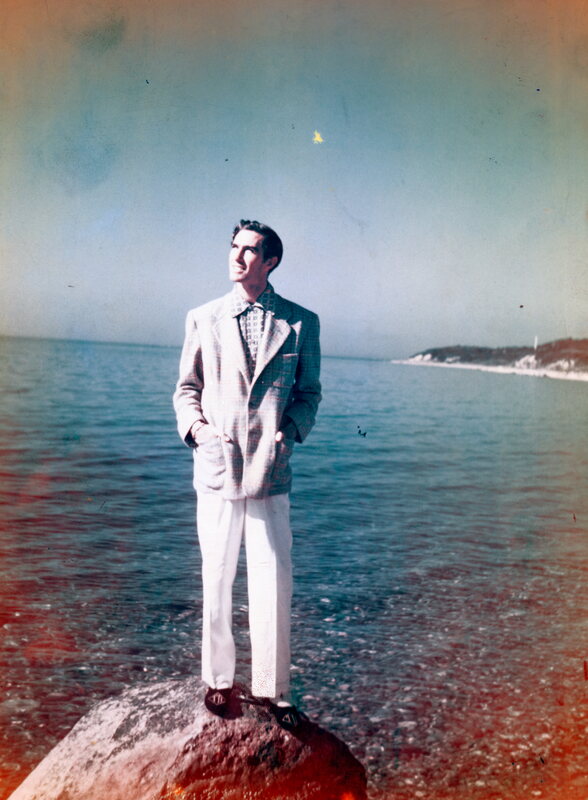 My father took to Montauk like a prodigal son. My father took to Montauk like the return of the prodigal son, although I’m not sure why. He wasn’t a fisherman, being a bit too squeamish to gut a freshly caught flounder. Boating made him sea sick. He was prone to sun burn. Yet, according to all who witnessed Al Costello’s Montauk epiphany, the man just loved the place. Early attempts at staying with Aunt Catherine, Uncle Harold and all the old biddies in their tiny cottage were quickly exchanged for rooms in local hotels. There was Bill’s Inn on Fort Pond, and The Montauk Chalet in a place called Shepherd’s Neck, and finally cottages in Hither Hills overlooking the ocean that were owned by a family named French. The Frenches were friends of my Uncle Tommy, who recommended we stay there. The French family owned considerable property in an area of Montauk called Hither Hills, which sat directly above the ocean beaches and, many decades later, would become the most valuable real estate on the East Coast. Richard Nixon, who, while staying at Gurney’s Inn, an ocean front hotel in Hither Hills, wrote his acceptance speech for his nomination as the Republican candidate for President in 1968. 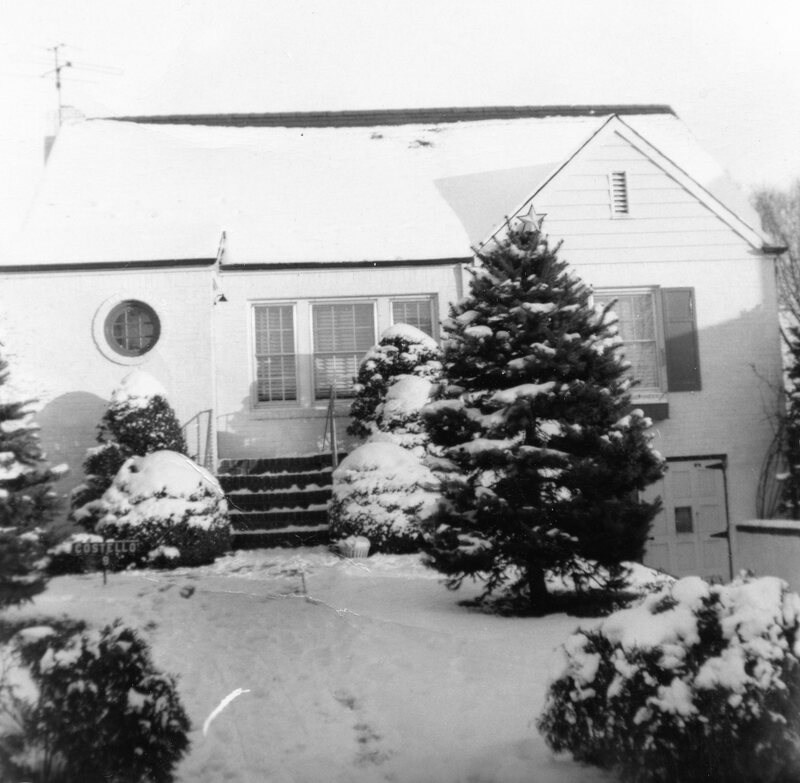 Nixon was so taken with Hither Hills that, after his inauguration as President, he attempted to have the government purchase the property adjacent to Gurney’s Inn, with the intention of constructing the Nixon Summer White House. The Secret Service put the kibosh on Nixon’s plans because of security concerns, the property being too visibly accessible from the ocean. My parents at one of the French’s cottages in Hither Hills. The familial competition between my father and uncle rekindled when the Frenches persuaded my Uncle Tommy to purchase ocean front property adjacent to their own. Uncle Tommy’s always-prosperous appearance deceived the Frenches into thinking he could afford it. Unable to actually buy the property, and unwilling to be found out as a mountebank and charlatan, my uncle somehow wrangled an option to purchase the land with a small down payment, which could only have come from one of his many dowager patrons. Uncle Tommy at Ditch Plains in Montauk. No one but Uncle Tommy knew this, of course, everyone assuming that he was now the proud owner of some very expensive real estate. This was disturbing news to my father, who had recently purchased, on a G.I. mortgage, our house in Green Acres, and was almost certainly financially overextended. Not to outdone by his brother-in-law, and ignoring his financial reality, the ignoble Army Captain found himself a willing real estate agent, and began looking for a suitable site for the Costello family’s new summer house. Within a year, Al Costello found himself making mortgage payments on our home in Green Acres, and our new summer house in Montauk. My father was now living way beyond his means, the two mortgages added to his ever-increasing gambling debts, and, unknown to the rest of us, was drowning in a whirlpool of fantasy-driven irresponsibility, robbing Peter to pay Paul, and struggling to somehow keep his head above water. Our eccentric Daschound Ronzoni outside our house in Montauk. Uncle Tommy’s Jaguar Mark IX in background. Meanwhile, Uncle Tommy, unable to make any additional payments on his ocean front fiasco, lost his option to purchase the property. Somehow, no one found out about this real estate calamity, and his friends and family went right on thinking, for many years, that Thomas Dowling Esquire owned that ocean front property, a myth he enthusiastically encouraged. After all, in his custom tailored suits, driving his Jaguar Mark IX sedan, gifts lavished upon him by generous women, he certainly looked the part. 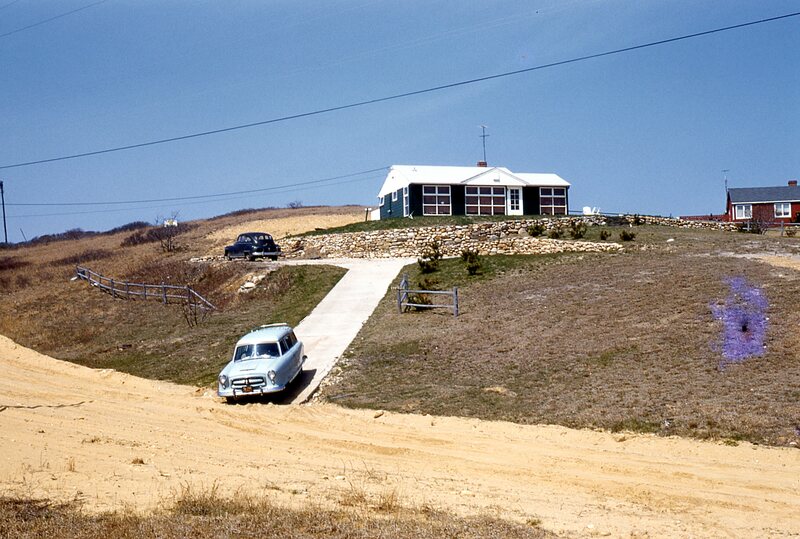 Our house in Montauk with our Nash Rambler Station Wagon exiting the driveway. 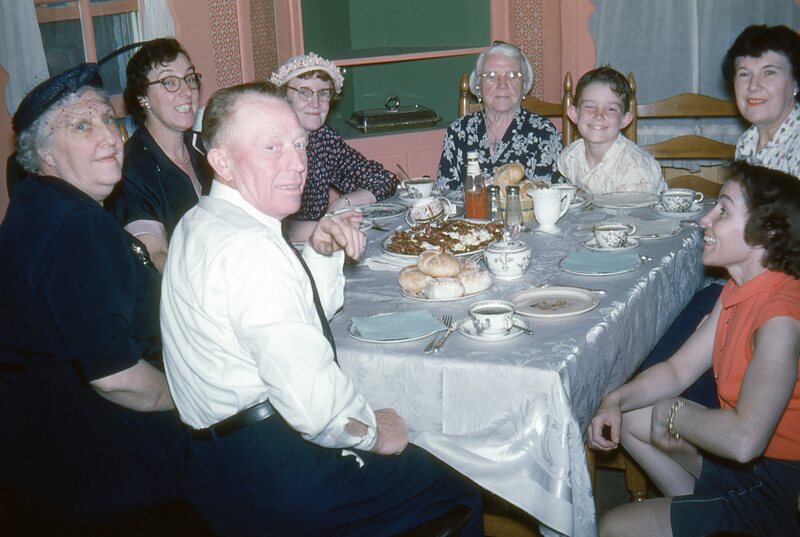 My mother, now ensconced in her Green Acres dream house, spending weekends splashing about on the beaches near her newly acquired summer home, was unaware of her husband’s financial difficulties, at least in the beginning. But financial pressures quickly eat away at marital stability, and within a short time my parents’ marriage became out and out warfare, my sister and I hiding under our beds during bouts of shouting, name calling, and dish throwing; the argument usually started by my father, who was by then stopping off for a few quick ones on his way home to face the family he now blamed for his dilemma. I remember one horrific incident, when my father came home quite late and obviously drunk, ignoring the dinner set on the dining room table, and staggering to his room where he collapsed in bed. My mother was so enraged that, for reasons known to her alone, she took all of the dishes off the table and smashed them against the living room wall which, by the time she had thrown her last projectile, was completely covered by dripping food, and broken fragments of china, a violent and terrifying image I can still recall vividly. Our family was in jeopardy. Revealed to me many years later, my father uncharacteristically confessed his situation, even the gambling debts, to my mother. A change had to be made, and it had to be made quickly. One of the houses had to be sold, and my parents decided to sell our home in Green Acres, and hold on to, at least temporarily, the Montauk beach house. Leaving Green Acres was probably the most traumatic moment of my childhood, and I never really forgave my parents. It had been decided, certainly without consulting me, that we would pack up our belongings and move to an apartment in Forest Hills, which I was told was in the borough of Queens, a part of New York City. My mother and Uncle Tommy. They danced at the Forest Hills Inn way back when. My mother had spent time there as a teen, dancing with my uncle at the Forest Hills Inn. She said it was a wonderful neighborhood. There was a famous tennis club, and a beautiful Catholic school, just a short walk from our apartment. I was told I would love it. Both my parents assured me that life in Forest Hills would not be that big of a change. After all, we still had the house in Montauk. They considered it a solution. I considered it a betrayal. But, like all children in situations like this, I had little say in the matter. We were moving to a place called the Forest Hills Gardens, and that was that. 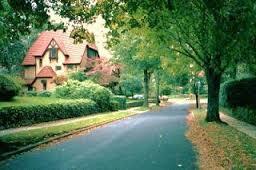 We were moving to a place called The Forest Hills Gardens, and that was that. Help keep SHAUN COSTELLO’S BLOG up and running. This entry was posted on August 21, 2014 by shauncostello. It was filed under Fiction and non-fiction from Shaun Costello, Uncategorized and was tagged with Catholicism, Catholics, Depression Era Irish, Familial Jealousy, Forest Hills Gardens, Green Acres, Hither Hills, Irish Catholics, Montauk, My family, Returning from World War Two, Statues of Jesus, The Bronx, Valley Stream, World War Two.